Infinite footprints leave ghostly echoes on long forgotten pathways. 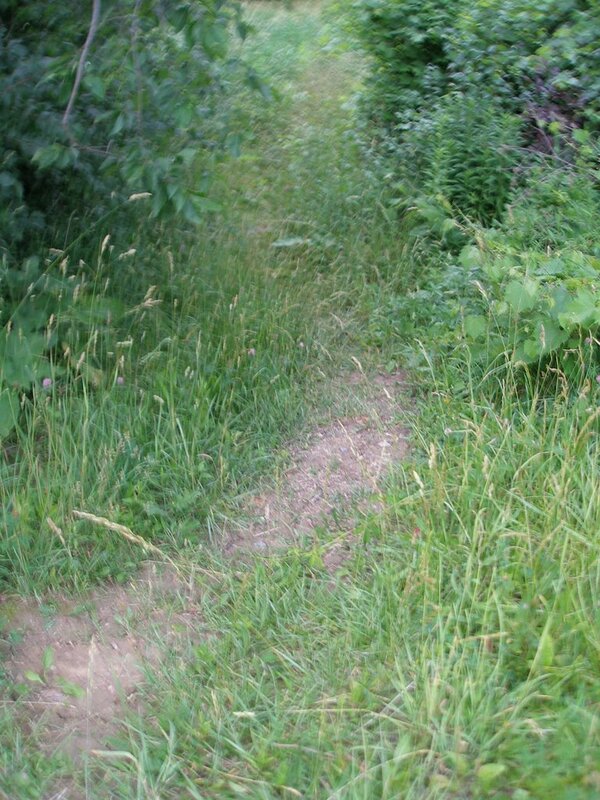 Back in the 60's, this overgrown path was once a shortcut the neighborhood children (my husband among them!) took to school. 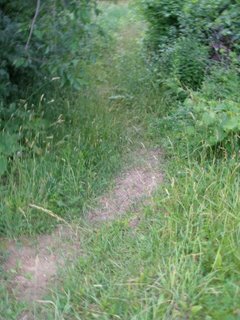 Sadly, it's now considered dangerous for children to walk through this park alone, so the path has become neglected and overgrown. But I can still imagine groups of boys and girls, chattering as they make their way along it.